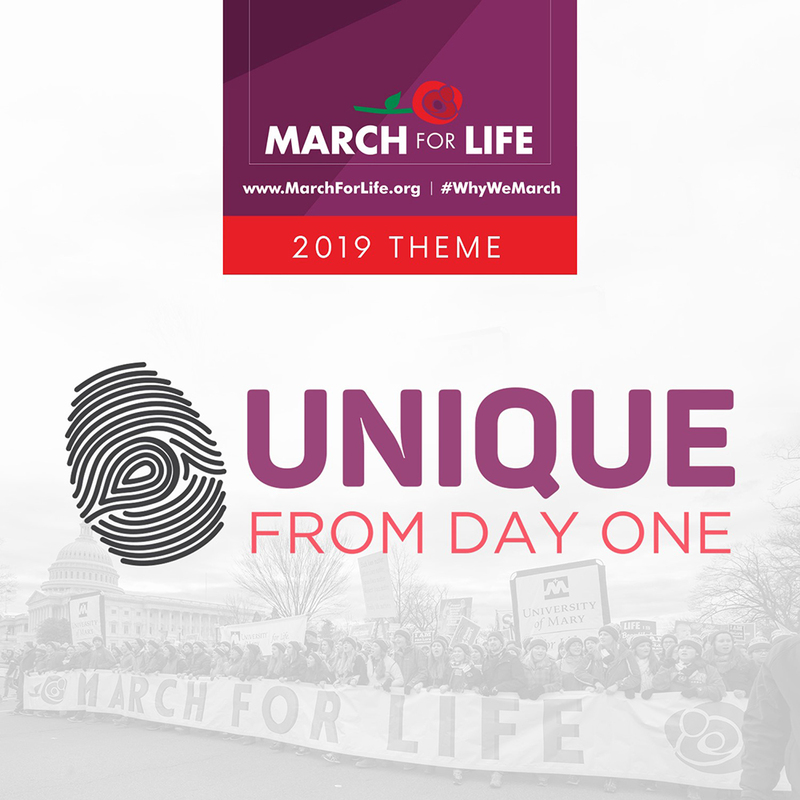 Tens of thousands, including NRB’s president & CEO, Dr. Jerry A. Johnson, and several other members of the NRB staff, are gathering Friday in the nation’s capital to rally in celebration of the sanctity of life. Together, we will march down from the National Mall to Capitol Hill to urge respect for human life and the end of abortion in America. Every year since the U.S. Supreme Court issued its infamous Roe v. Wade decision on January 22, 1973, masses of pro-life marchers have come to Washington to protest that ruling and to promote a culture that properly values prenatal life. This year, the March for Life theme will be “Unique from Day One: Pro-Life is Pro-Science,” which organizers say embodies the current state of the pro-life movement. NRB is a “White Rose” sponsor of the event. “From the moment of fertilization until natural death, every human life is sacred,” said Johnson, citing a portion of NRB’s Statement of Faith that addresses the sanctity of human life and abortion. Ahead of the march itself, pro-lifers will gather on the National Mall for a rally featuring speakers including Ben Shapiro, editor-in-chief of The Daily Wire and host of The Ben Shapiro Show; Abby Johnson, founder of And Then There Were None; Dr. Alveda King, director of civil rights for the unborn with Priests for Life; Rep. Chris Smith (R-N.J.); Sen. Steve Daines (R-Mt. ); Rep. Dan Lipinski (D-Ill.); and State Rep. Katrina Jackson (D-La. ); and others. Sidewalk Prophets will provide the musical opening for the 2019 March for Life. Those who cannot make it to the nation’s capital but would like to add their voice to Friday’s event are encouraged to join pro-lifers on social media using the hashtag #WhyWeMarch. The March for Life Rally will take place at noon at 12th Street on the National Mall, between Madison Drive and Jefferson Drive. Following the rally, the March will begin on Constitution Avenue between 12th and 14th Streets at approximately 1:00 p.m. Learn more about the March for Life at www.marchforlife.org. Follow March for Life on Twitter, Instagram and Facebook for updates on the event.